I am deeply curious and love to peek behind the curtain at the processes behind finished products. One of the people I admire most, the goddess Julia Child, shared this love. Julia, and later in my reading, Michael Ruhlman taught me that once you know the process or know the ratio of ingredients in a given dish, you can become an artist in your own right. You barely need to think about a recipe, because as long as you know the basics, those variations on a theme come naturally. You can keep iterating again and again. Do they always work out? No. But Julia had advice for that too. It can be hard as someone who suffers from bipolar depression to have confidence in myself. I lose my footing with that a lot, and that’s another reason I so look up to Julia Child. She wasn’t glamorous or pretentious, and she didn’t even start cooking until she was in her 30s. Every time I feel that I can’t do something because I didn’t start earlier in life, I think of her, and also of my brother. He decided after a career in vocal performance to then go to medical school and become a doctor. Usually it starts from one point—a technique, an ingredient, a request from someone, and then the wheels start turning. And if it leads me to something I don’t know or am not sure of, I pull out my librarian skills and dive into research until an idea clicks. Then I’m off to the races. 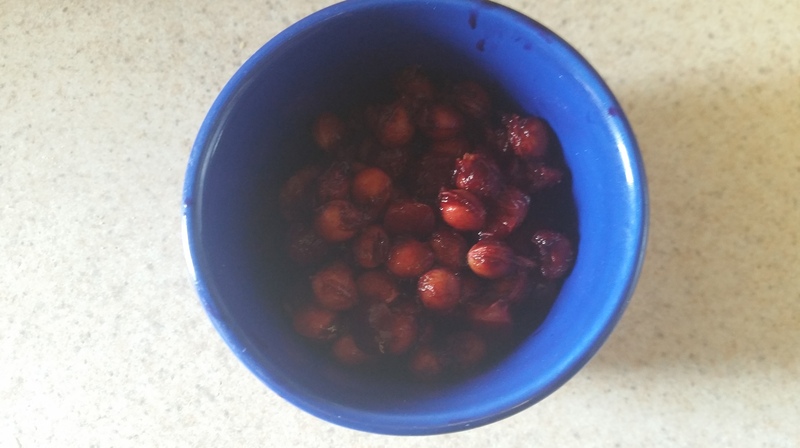 As promised in my previous post, that inspiration was sweet, perfectly ripe cherries. And what pairs better with cherries than silky dark chocolate? The idea of a black forest cake came to mind of course, but I was looking for more texture and something a little bit buttery and crisp to offset the creamy dark chocolate and sweet cherries. Balance is everything in cooking. 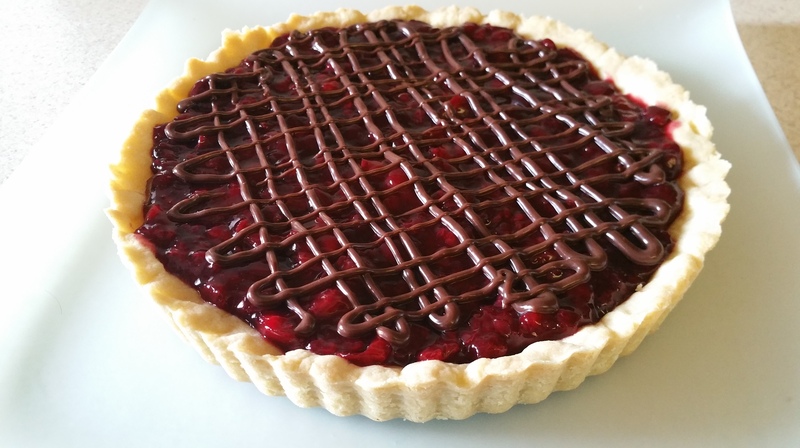 So how about a tart full of those black forest flavors? And even better, an application for the pile of cherry pits you’ll have after making it! No shrinking, no cracking, no problem! Start with the whipped cream. 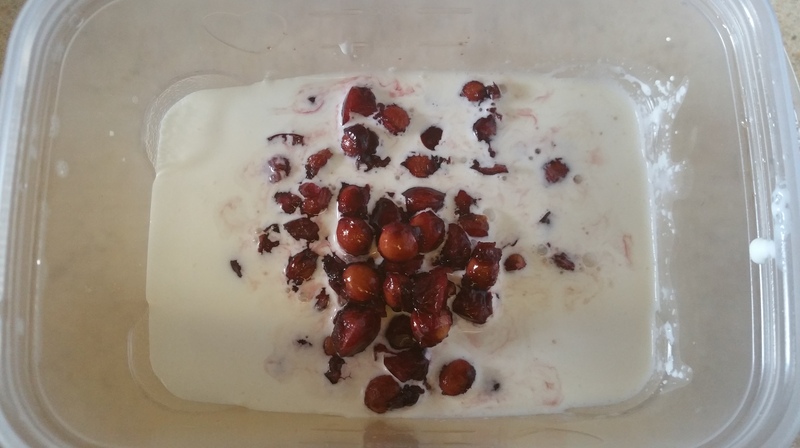 Combine cherry pits and cream in an airtight container and refrigerate for at least four hours, though you can leave it for up to 24 hours. While the pits are soaking, prepare the rest of the tart. Melt the butter for the crust over medium-low heat. 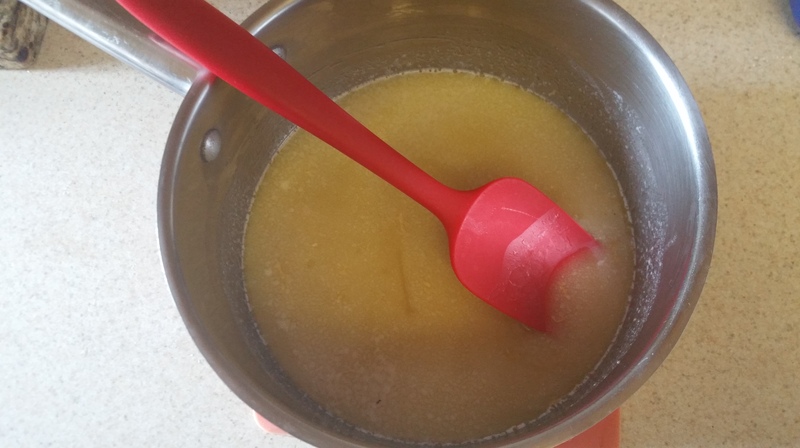 Remove from the heat and add the sugar, vanilla, lemon zest, and salt, stirring until smooth. 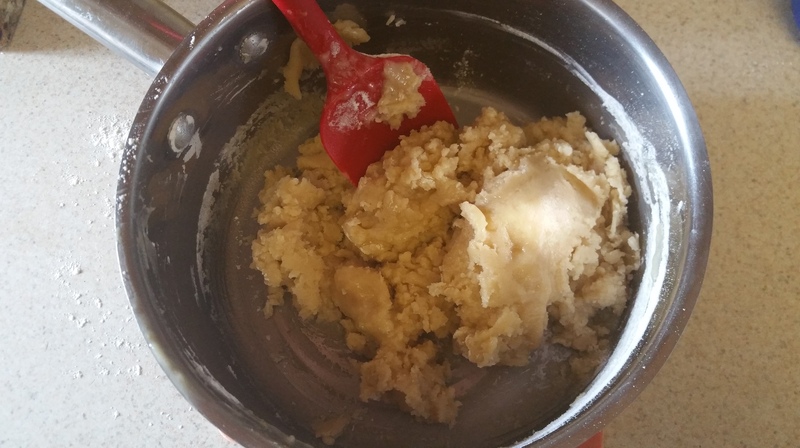 Blend the flour into the butter mixture with a rubber spatula. Press the dough into a 10 in. 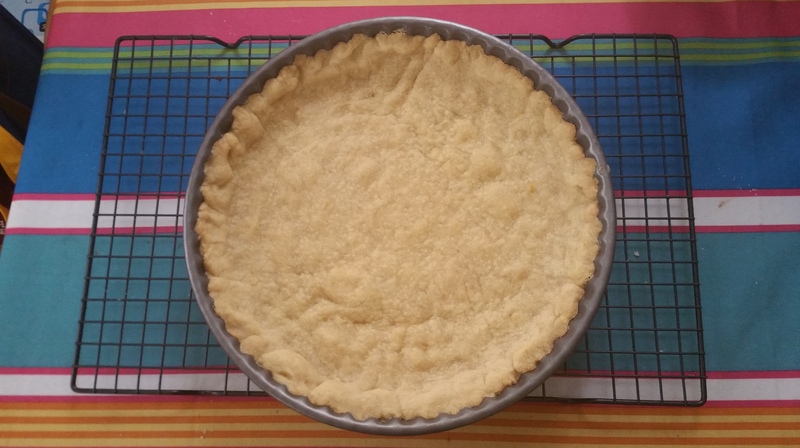 tart pan. You want the dough to go about an inch up the sides of the tart pan. Freeze the crust for 15 minutes and then bake for 25 minutes. Cool completely on a wire rack. For the chocolate filling, bring the cream just to a boil and then remove from the heat and add the chocolate, stirring until smooth. Spread one cup of filling into the prepared crust, reserving the rest. I left mine in a cup on the counter to thicken up a little. Refrigerate the tart until the chocolate is firm, about an hour. 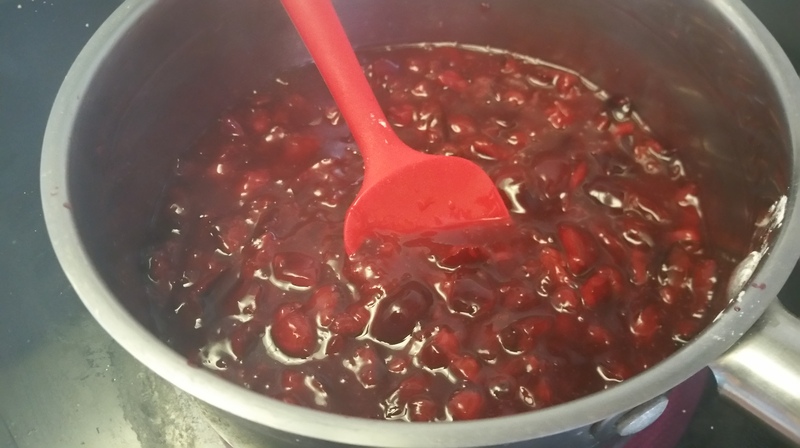 To make the cherry topping, combine all of the ingredients in a saucepan over medium-low heat. 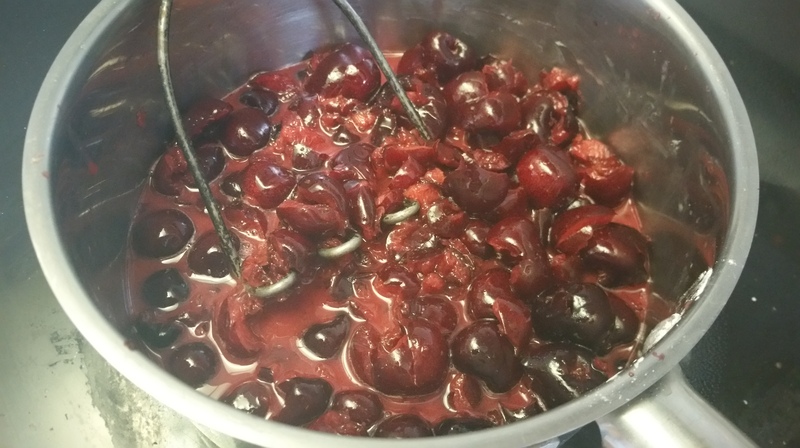 Mash the cherries while the mixture heats up. 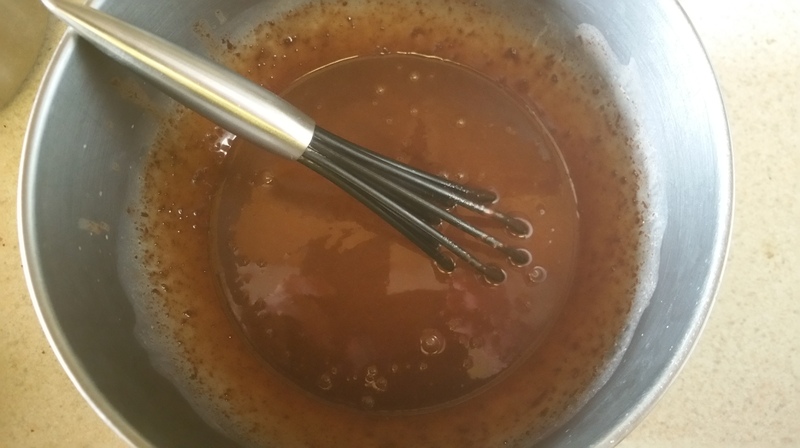 Stir constantly until the mixture bubbles and thickens. It should be shiny and thickly coat a spoon. Set aside to cool. Once cool, but not firm, spread on top of the chocolate layer. 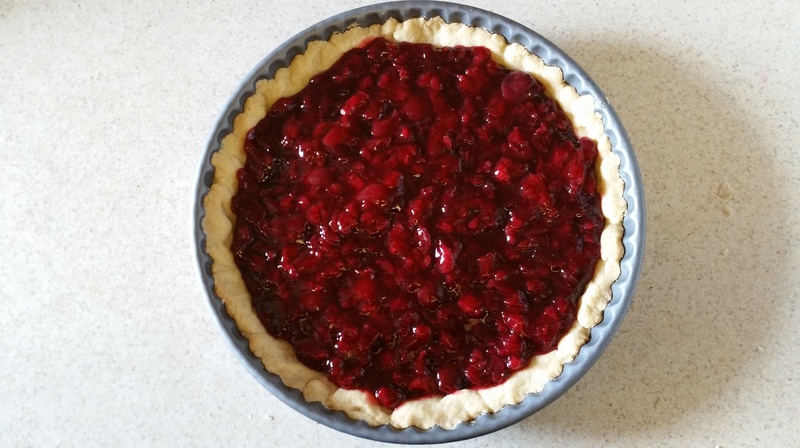 Place the tart in the refrigerator to set the cherry layer, about an hour. 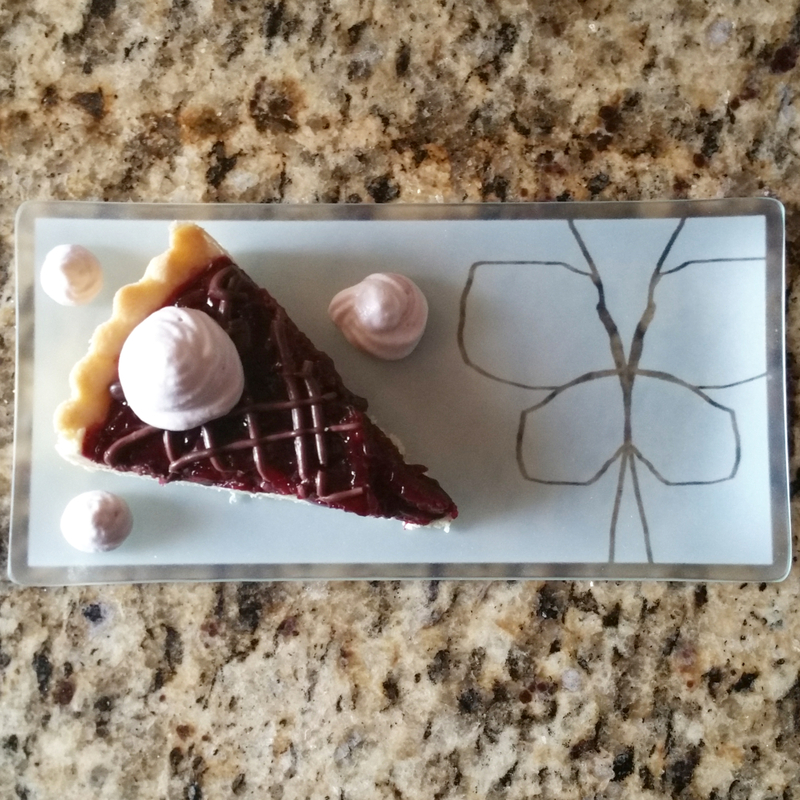 Pipe or drizzle the reserved chocolate on top of the tart and refrigerate while you finish the whipped cream. Strain the cream through a fine mesh sieve into the bowl of a stand mixer fitted with a whisk attachment. Add the salt and cream of tartar and begin to whip, adding the sugar slowly. 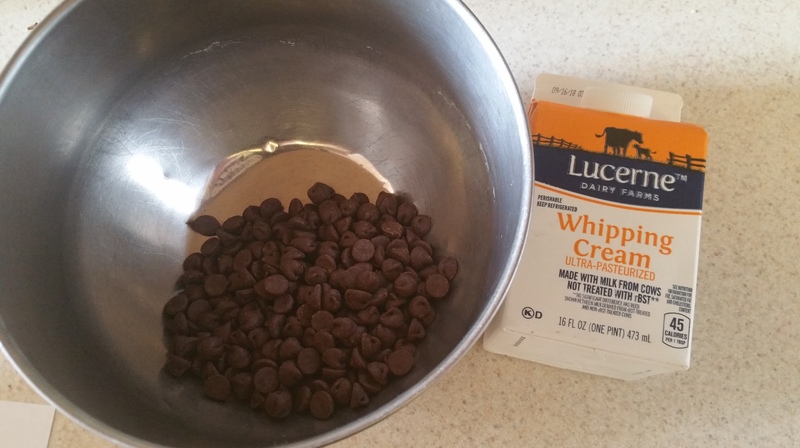 Whip the cream until it has soft peaks and then store in an airtight container in the refrigerator. You should use it within a day, though the cream of tartar will stabilize it for a little bit longer. Finally, slice, add a dollop of whipped cream, and serve! The crust is rich and crisp, the chocolate ganache smooth and creamy, and the cherries are bright and sweet. Add the soft, lightly flavored whipped cream and you have one seriously spectacular bite.